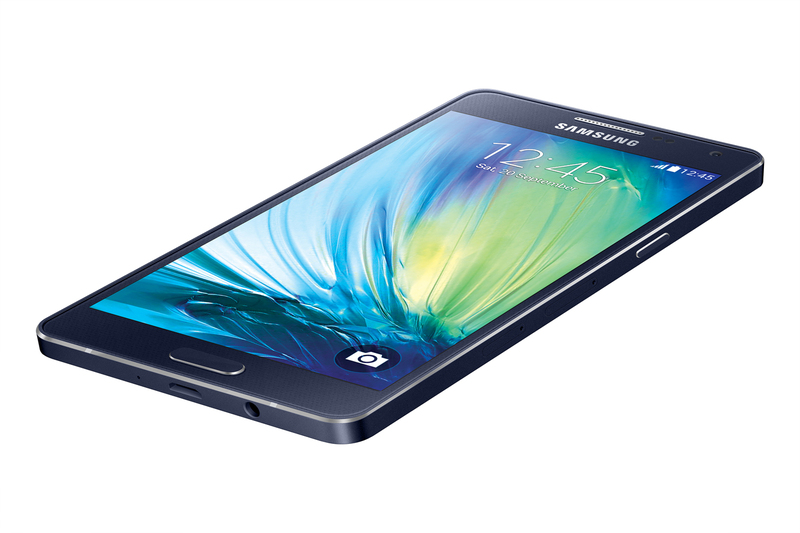 Samsung’s just announced a new series of mobiles, revealing the Galaxy A3 and A5. The announcement GOES BIG in the word “selfie,” with Samsung sticking 5megapixel front-facing cameras in both models. The A5 has a 13MP main unit and the A3 comes with an 8MP proper camera. Both phones are powered by a 1.2GHz quad-core chipset, with 2GB of RAM in the A5 and 1GB of working memory in the A3. Android 4.4 is the initial OS. London, UK – 31st October 2014 – Samsung Electronics today unveiled the Galaxy A5 and Galaxy A3, offering a sleek, high fashion design and advanced functions that make social networking. Available in a variety of colours and sizes, both devices are designed to allow social networking fans to quickly and easily capture meaningful moments, connect to socialmedia and share their daily lives. The Galaxy A5 and A3 are Samsung’s slimmest smartphones to date, featuring refined full metal unibody designs (6.7mmand 6.9mm thin, respectively). Both devices will come in a variety of colours, including Pearl White, Midnight Black, Platinum Silver, Soft Pink, Light Blue and Champagne Gold, allowing users to select a colour that complements their own personal style. The Galaxy A5 and A3 devices have an advanced 5MP front-facing camera, meaning capturing that perfect selfie is easier than ever before. Innovative photo-taking features, such as Wide Selfie, Palm Selfie, Animated GIF, Beauty Face Features, and Rear-cam Selfie, let users capture the best selfies possible in high resolution by automatically detecting and focusing on a person’s face. Users are also able to quickly and easily share photos or videos on their favourite social media channels withthe device’s fast network speed of LTE Category 4 standard. The Galaxy A5 and A3 also feature a Quad Core 1.2 GHz processor for seamless multi-tasking and a faster browsing experience. In addition, the Galaxy A5 and A3 include popular features exclusive to Galaxy devices, such as Ultra-Power Saving Mode, Private Mode and Multiscreen, as well as adjustable audio which intelligently adapts and enhances soundoutput based on the user’s surrounding environment.